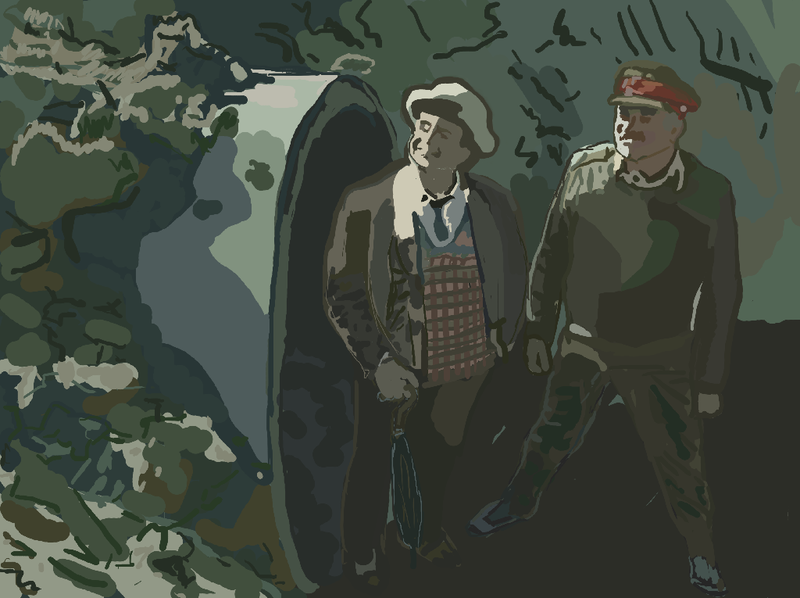 Doctor 7 and the Brigadier – "On Game Design"
I did a painting of Sylvester McCoy, my favorite of the old-school doctors, with Brigadier Alistair Gordon Lethbridge-Stewart — my favorite of the old school companions. The image reference for this was from the story Battlefield, which was “King Arthur meets UNIT.” Nuff said, amirite? I like the color palette I ended up working with. It makes the light parts seem lighter and the dark parts darker. Tagged 7th doctor, Brigadier, doctor who, King Arthur, Sylvester McCoy, UNIT.